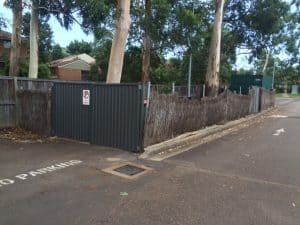 Brush fences can last a long time when maintained and looked after with timely minor repairs. Unfortunately, if left without repair, the fence will end up needing to be replaced. 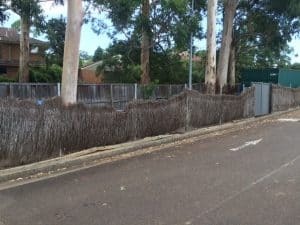 This brush fence at the West Pennant Hills Sports Club had deteriorated beyond repair and needed to be rebuilt. 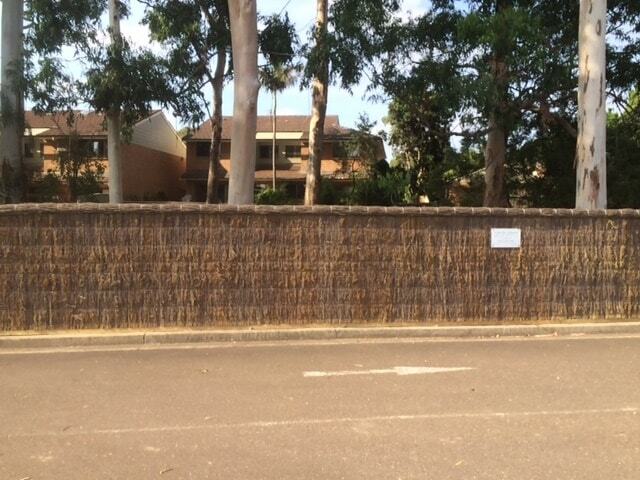 Due to the length of the brush fence, we opted for brush panels which allowed the job to be both quicker and easier. Ideal for a busy club that would like minimal impact to its patrons. 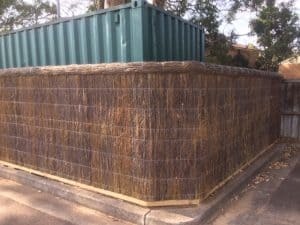 The brush panels look fantastic, while the gate allows easy access to the bins without anyone knowing that they were there at all. 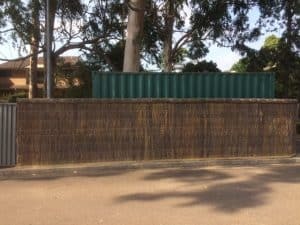 Best of all, we guarantee our work for 5 years, so West Pennant Hills Sports Club know that they can have peace of mind with the service we offer. 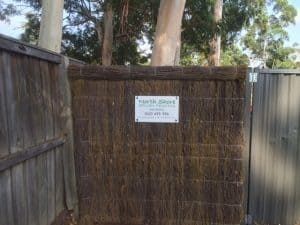 Contact North Shore Brush Fencing for a quote on getting a Brush Fence Repair or new Brush Fence for your property.